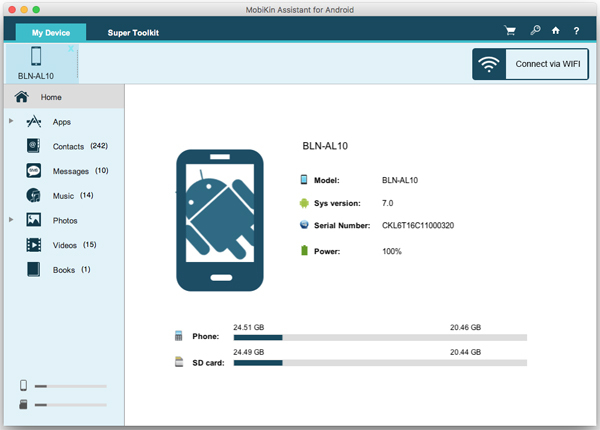 Home> Resource> Android Backup> How to Sync Android with Mac/PC? The smart phones almost became a part of our body in daily life and people will feel painful, anxious or lost when they forget to bring the smart phones with them or their mobile phones nearly run out of battery. Among all the smart phones, Android phones take a great share of the smart phone market. Since the Android phones have a large number of users, it is no wonder that many similar questions are asked in the forum. 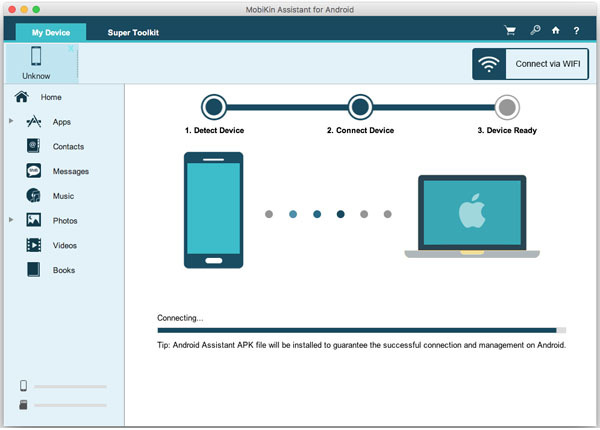 Some people wonder that how to manage the files in Android phone and some people also wonder that the how to sync Android files to Mac or Windows computer. So here we will solve the problem and offer you the best solution. As we know that the smart phones are different from the traditional non-smart phones that allow you to transfer files between mobile phones and computer as long as you connect the device to computer with the USB cable. However, you are not able to do the same things to the smart phones. That's why every smart phone users need a mobile phone assistant. Here we will recommend you a powerful and professional tool - Android File Manager (Windows/Mac), which is highly estimated by the users. 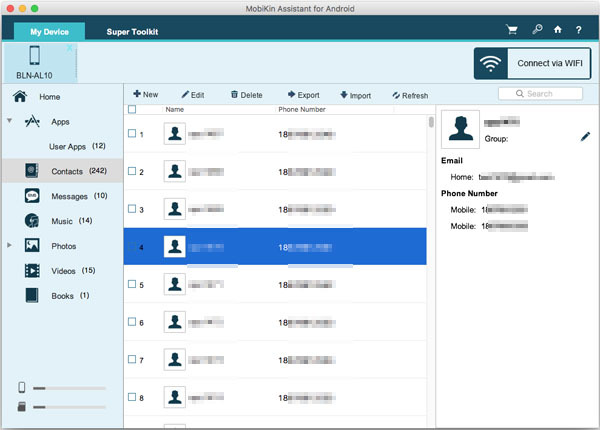 The software enables the users to transfer various files like contacts, text messages, books, videos, music and so on between Android and Mac or Windows computer within 3 steps and several minutes. The operation of the software is easy and simple. Because the program will detect the connected device automatically and scan the files in it deeply. Then all the files in your device will be displayed as different categories so that you can easily find out the target files and transfer the marked files with one click. Don't be hesitated now to get the program properly on your computer. Both two versions can be performed by the following step-by-step guide. How to Sync Android to Mac/PC? Download and install the software on your Mac computer and you will see an interface like this. Then you can just connect your Android phone to computer with the USB cable. Then you will see an window popping up like this with a list of categories on the left panel and the main parameters on the right panel. There is a list of categories on the left panel: Apps, All Contacts, SMS, Music and so on. Click one option on the left panel according to the files you want to transfer or back up. For example, you can click on the Contacts option and then the All Contacts button to preview all the contacts on the right panel. Mark the wanted contacts and then click on the Export button to transfer them to Mac computer. Or you can also click on the New button to add new contacts to your device on the computer and click on the Import button to transfer files from computer to the Android. You can also click on the Delete button to delete all the marked contacts. Now want to have a try? Just download the free version on your computer!